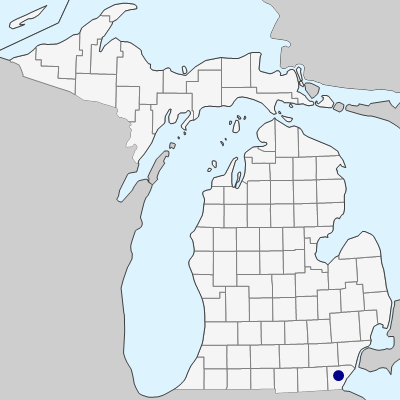 P. paradoxa of Michigan Flora. The only Michigan collection is from loose sand of a barrier beach at Pte. Mouillé, Monroe Co. (M. McDonald 5159 in 1949, MICH, MSC). 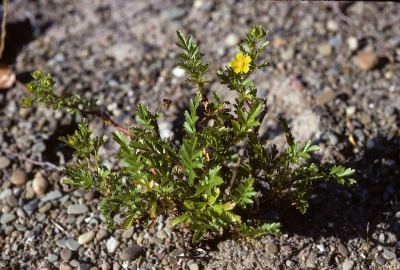 This species occurs primarily west of the Mississippi in North America and is somewhat disjunct to sand beaches of the lower Great Lakes; our plants may be recognized as subsp. paradoxa (Torr. & A. Gray) Soják. MICHIGAN FLORA ONLINE. A. A. Reznicek, E. G. Voss, & B. S. Walters. February 2011. University of Michigan. Web. April 26, 2019. https://michiganflora.net/species.aspx?id=2510.